First released in the UK via Kickstarter, the TicWatch E and S were two of our favourite smartwatches of 2017. They delivered flagship features, including GPS and heart-rate monitoring but a more affordable price than most. Since then, Mobvoi has released the higher-end TicWatch Pro and TicWatch C2, and, following on from those, it recently announced the E2 and S2. These new budget smartwatches don’t build on their predecessors as much as I’d have liked but there’s no denying that the E2 represents unbeatable value for money. Aside from the design, there’s very little to separate the E2 from the S2, which launched at the same time. The S2 adds US Military Standard durability, for which you’ll need to pay a little extra, looks a bit gnarlier but otherwise everything else is the same. Just like their predecessors, both watches have vibrant 1.39″ AMOLED displays and run Google’s Wear OS smartwatch software. They also have optical heart-rate sensors and built-in GPS. Sadly, there’s still no NFC for making contactless payments. The main change is that the new watches are waterproof to 50m and have a built-in swim tracking mode. They’re also powered by the Qualcomm Snapdragon Wear 2100 (where the TicWatch E and S used a MediaTek processor) and have slightly larger 415mAh batteries. The Ticwatch E2 is the cheaper of the two new models and will cost you £146. For the S2, you’ll need to part with £166, while a further £14 buys you the recently launched Ticwatch C2 (£180). 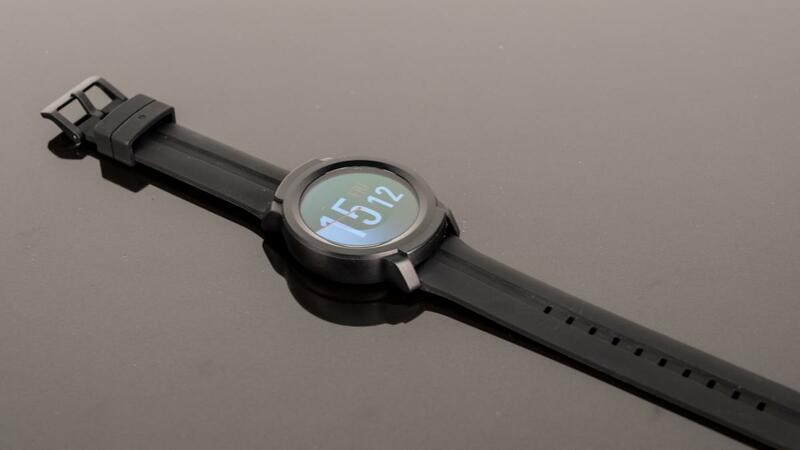 Aside from Mobvoi’s own smartwatches, there’s not much else that runs Wear OS available for less than £200. In this regard, the E2’s main competition comes from the somewhat long-in-the-tooth Huawei Watch 2 at £180. Then there’s the Fossil Sport, which, powered by Qualcomm’s new Snapdragon Wear 3100 chip, is considerably more expensive at £250. Huawei’s newer Watch GT (£180) is a great-value option with superb battery life, but it runs the company’s proprietary OS and as such lacks the broad selection of apps available on Wear OS. Alternatively, if you’re considering the Ticwatch E for its fitness features, the Garmin Vivoactive 3 (£180) is another highly capable adversary. If you want to spend as little as possible, the Amazfit Bip is frankly ludicrously good value at £45, given its ridiculous battery life and built-in GPS. In design terms, the TicWatch E2 is clearly an evolution of its predecessor rather than a complete overhaul. To put it bluntly, it still has a simple black, plastic case that you’d expect of a device that costs less than £150. That might not sound like high praise, but it doesn’t tell the full story because Mobvoi has done a great job of fixing the main design flaws of its predecessor. For a start, there’s no pungent smell of plastic when you first remove the TicWatch E2 from its box as there was with the TicWatch E. Moreover, where the strap lugs and casing edges on the E were sharp, they’ve been rounded off on the E2, making for a watch that’s much more comfortable to wear for long periods. Next, there’s the watch’s single button on the right side. On the TicWatch E, this was poorly made and firm to the point you wouldn’t always know if you’d successfully pressed it, but it’s now much more responsive and clicky, as a button should be. These all sound like minor points but collectively add up to a considerable difference in terms of both comfort and usability. 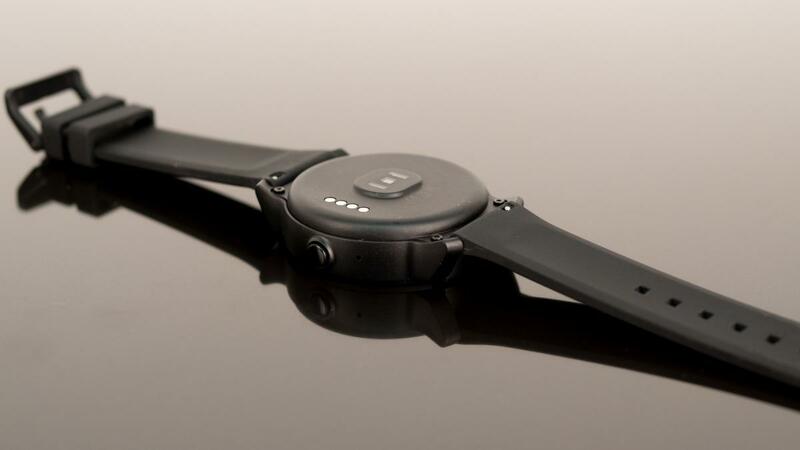 The TicWatch E2 is clearly not a premium product but it’s notably superior to its predecessor. Like the TicWatch E, the E2 has a 1.39in 400 x 400 pixel AMOLED display but Mobvoi has eliminated the crude join between the screen and bezel. Talking of bezels, the screen’s surround now has a glossy finish where it was all matte on the previous model, which adds a little something in terms of aesthetic appeal. As before, it takes standard 20mm straps, which attach via standard spring bar pins, but I had no problems with the silicone band that comes with the watch as standard. So, it looks and feels good, but what about its features? As with all Mobvoi’s recent wearables, the TicWatch E2 runs Google’s Wear OS smartwatch software. It has an optical heart-rate monitor so it can measure your pulse and it has built-in GPS, which means you can accurately track the distance and speed of workouts without you having to take your phone with you. 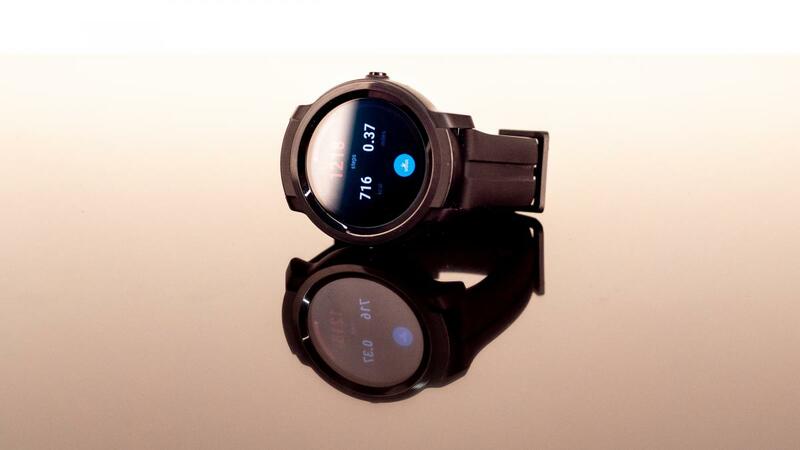 In the past, it’s not been obvious why you’d use Mobvoi’s fitness apps in favour of Google Fit, but with the addition of its 50m waterproofing comes a new swimming mode. I was a little cynical at first about how well this might work, considering the TicWatch E2’s low price tag, but it’s actually a great addition. At the start of your swim, you’re asked to set the pool length (there’s a custom length option if you’re not using a 25m or 50m pool) and it then gives you the option add a distance-, laps- or duration-based target. During my swim, the watch reliably added 25m to my total distance at the end of every length, only coming unstuck and counting additional lengths when I switched to sculling on my back or swimming what I like to call “lazy breaststroke”, where I leave my head above water at all times. If you swim full lengths with reasonably good form, the TicWatch E should have no problems with accurately logging your workout. In fact, it’s only when you’ve synced the watch to the Mobvoi app and done a bit of digging around – the Mobvoi app doesn’t have the most intuitive UI – that you discover the full extent of the insights it offers. Along with the time it took to swim each length, the app logs the total distance covered, detects the stroke you used, works out average strokes per length, and your pace per 100 metres. There’s also a stroke count and SWOLF score for each length, too, so you can work your efficiency. The one glaring omission as far as features are concerned is NFC. If you want to be able to make contactless payments without your phone, you’ll need to opt for the more expensive TicWatch C2 or TicWatch Pro, neither of which support the aforementioned swim tracking. That’s a real shame but, otherwise, the only thing Mobvoi has left out is a speaker, presumably as a trade-off for the improved waterproofing. As for performance, I was pleasantly surprised by the TicWatch E, at least as far as responsiveness is concerned. Although it’s powered by the now rather outdated Qualcomm Snapdragon Wear 2100, Mobvoi has worked hard to optimise the software and as a result it delivers a smooth, enjoyable user experience. Loading power-hungry apps such as Google Play Music can still be a little sluggish, as you’d expect from such an old chip, but for nearly everything else I had no problems. I don’t want to overstate its abilities – there are faster devices that don’t run this OS – but I’d go so far as to say the TicWatch E2 is the fastest Wear OS watch I’ve tested. It’s frustrating Mobvoi hasn’t used the newer Wear 3100 chip but it deserves kudos for squeezing better performance out of such old hardware. The main other addition to the TicWatch E is a 30% larger 415mAh battery, which Mobvoi claims improves battery life up to two days depending on usage. That’s a fair estimate because the E2 lasted beyond 24 hours even when tracking a few short workouts and with the display set to always-on. In reality, though, there’s a good chance you’ll need to charge it every night if you use it intensively. So, is it worth upgrading to the TicWatch E2 from the TicWatch E? Probably not. After all, unless you desperately need swim tracking, there’s not that much that’s new here. It’s a little better built, it’s a little faster and it might last an extra few hours between charges, but there’s nothing much else to get excited about. Would I recommend it as in its own right, though? Absolutely. If you’re on a strict £150 budget, there’s nothing that comes close in terms of performance, features and usability. Not only that, but the TicWatch E2 looks more attractive and is more solidly made than its predecessor. 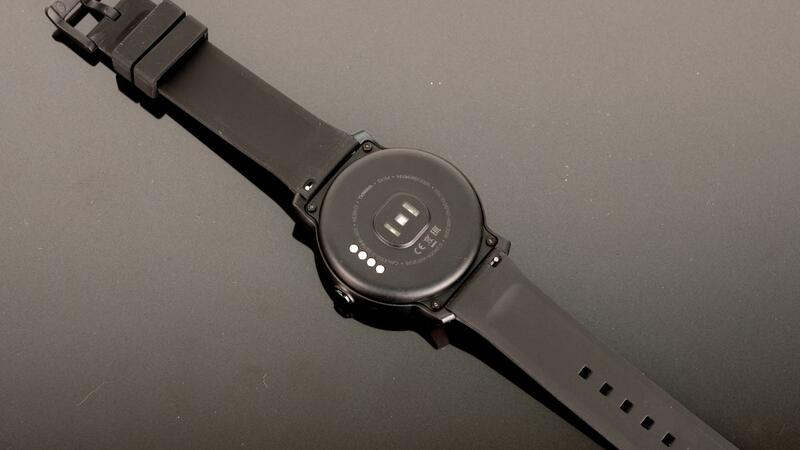 For now, then, the TicWatch E2 wears the budget smartwatch crown.